As you’ll have seen on the Jarama entry list, the Lister LMP1 won’t be at Jarama this weekend, so it’s effectively run its last race in the hands of Laurence Pearce’s team. So that chassis' best result will be the second in LMP1 at Istanbul in April of this year (below). The GT1 project that Mr. Pearce alluded to in June is still on-going, but it hasn’t reached the stage of telling the world – yet. So that leaves a tantalising second programme for 2007. 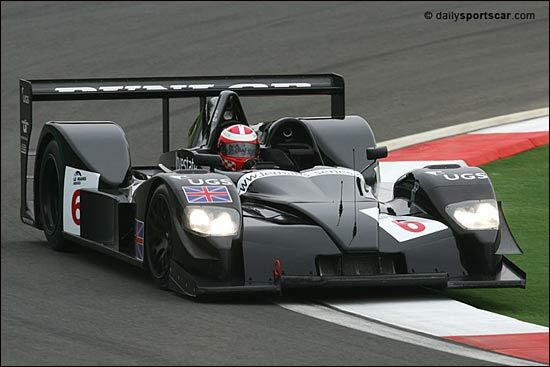 “Lister has invested in an LMP1 chassis for 2007; this new car will return the team to the front of the grid and, once again, give us the potential to win races,” says the team’s statement. The identity of the manufacturer of the new chassis will be a surprise, when it becomes known. This chassis will not be fitted with the GM-derived Lister V8 next year.